CINCINNATI -- A 1941 fruitcake has sold for $525 to an Arizona man in an online auction, and the money will be used to benefit the homeless in southwest Ohio. Elite Estate Group sold the cake in an auction on its website that ended Thursday night. Company owner Larry Chaney said the man who bought the cake asked that his name not be released. "I believe he probably bought it as an investment," said Chaney, adding that he doubts anyone would eat a 70-year-old fruitcake even though it was vacuum-packed and contained rum that probably helped preserve it. The plan initially was to auction off the cake locally, but Chaney said publicity about it resulted in calls from all over the country and from Great Britain, Japan and Australia. A day after the auction ended, people still were making offers, some of $1,000 or more, Chaney said. 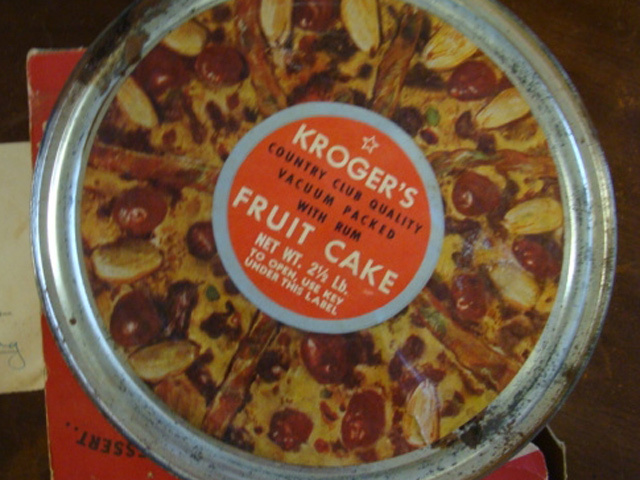 The cake was made and sold in 1941 by The Kroger Co. in the Cincinnati area, Chaney said. It was returned to a Kroger store in 1971 with a note saying it was one of six purchased by the man who signed the note. The signature appears to be that of an E.F. Helbling. The note said the cake traveled thousands of miles "during its 30 years of life" and was "subjected to all types of climatic conditions and shocks." The note said the cake's owner was moving again and wanted to return it to its original owner, Kroger. The Kroger store apparently didn't want the cake, and store manager Frank Bates took it home. Bates, now 86, kept the cake until recently, when his son was helping him get rid of some things and gave the cake to Chaney. The $525 will go to a church outreach program that provides food and other items for homeless people in Clermont County. "We're very glad that the proceeds are going to help a great cause," said Keith Dailey, spokesman for the Cincinnati-based Kroger Co.